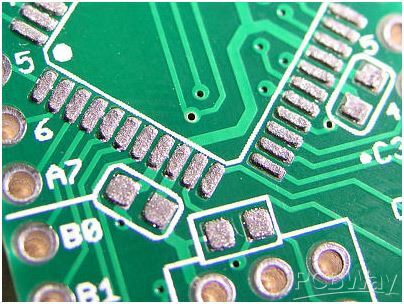 SMD stencil (Solder paste stencil) is necessary for Surface Mount Assembly. 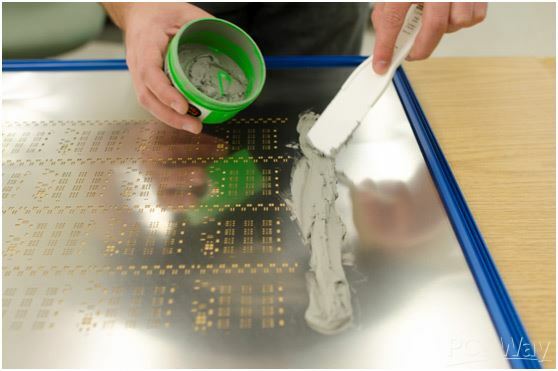 Squeegee solder paste through stencil, the stencil ensures the solder paste is the right amount on the right position.Then you can place surface mount components on solder paste and put it into reflow oven. Stencil is a kind of bare stainless steel sheet. It could be in a frame or without frame. Framework is for automated stencil machine. Non-framework is for hand solder. Usually, framework is heavier and bigger than non-framework. So framework is more expensive to ship and might be charged for dimensional weight shipping. Fiducials are positioning points for automated stencil machine. The diameter of the fiducials are usually 1mm. We offered three options: none, half lasered and lasered through. Half lasered is a sunk bump, lasered through is a through hole. Half lasered is for automated stencil machine. Lasered through is for hand solder or semi-automated stencil machine. Please note thatif you choose half lasered or lasered through, but there’s no fiducials inside, we’ll ignore this option. Electropolishing (also known as electrochemical deburring) will remove small burrs, improve surface quality and provide smooth inside walls for better paste release. This treatment is mainly for IC lead width less than 0.5mm and BGA chips. Free SMT stencil quotation is just a click away. Click below button to enter our SMT stencil Price Calculator, fill out your custom PCB spec, and rough SMT stencil price will show up in the right column automatically (shipping price will be given on order confirmation page).